Who says “coupons” are just for grocery shopping. To provide the best cut quality from your cutting machine, it is wise to do a “cut test coupon” before using the machine on production parts. A rectangular shape with holes will provide you with your current machine’s cut quality. This test should be performed either every day or the beginning of each shift. Use a Digital Micrometer like the one shown here. 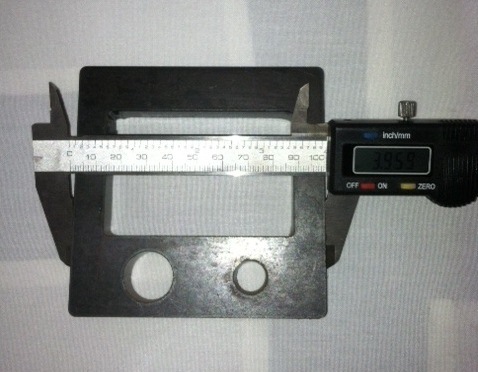 Once this part is cut, the operator should use a calibrated digital micrometer (pictured above) to check the tolerances in both the X and Y axis on the coupon. Ideally, on a Hy Definition plasma system these should be at 5,000’s. If they are not, further investigation should be focused at torch level and or the motion on either axis. This entry was posted in On Jobsites. Bookmark the permalink.